Are you all ready for Halloween? I’m sure not! I was going to make some costumes for my boys, but it hasn’t happened yet, so we’ll see if it even does. 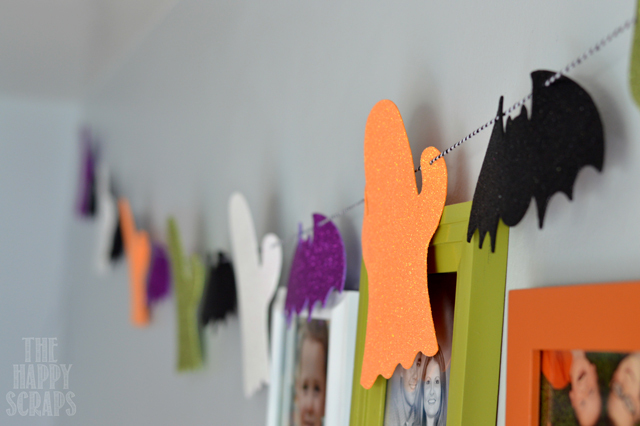 Today I want to share this Last Minute Halloween Banner with you. This is seriously one of the easiest banners I’ve ever put together. 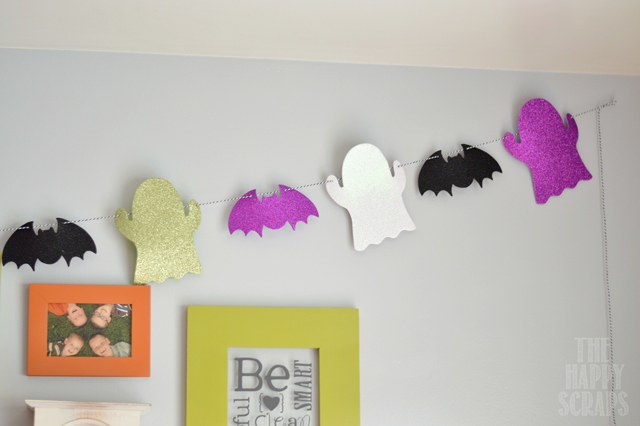 I was at Wal-mart one day looking at all the fun Halloween decorations they have and I saw these cute foam ghosts and bats, and some of them were pre-glittered. Score!! I used my crop-a-dile to punch some small holes in all of the shapes. My 4 year old and I strung them all together using some baker’s twine. It was such a fun activity to do with him! He loved it and I loved being creative with him. Since the pack came with some glittered and not glittered shapes, I separated them and made two banners. I hung the glittered one in the kitchen, and the un-glittered one in my boys bedroom. They thought it was awesome to come home from school and find it. 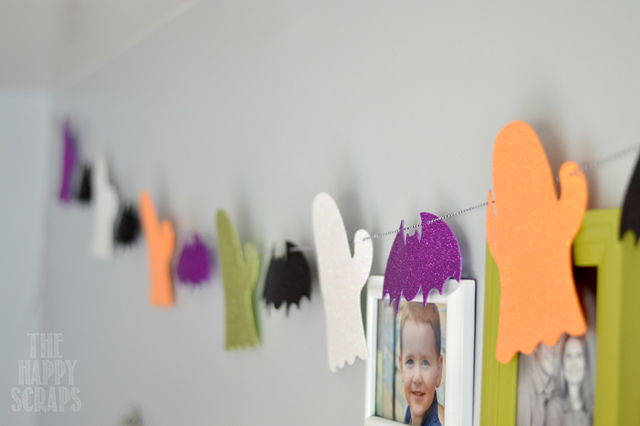 Do you have any fun and simple projects that you’ve made with your kids? super cute.. yes we did. 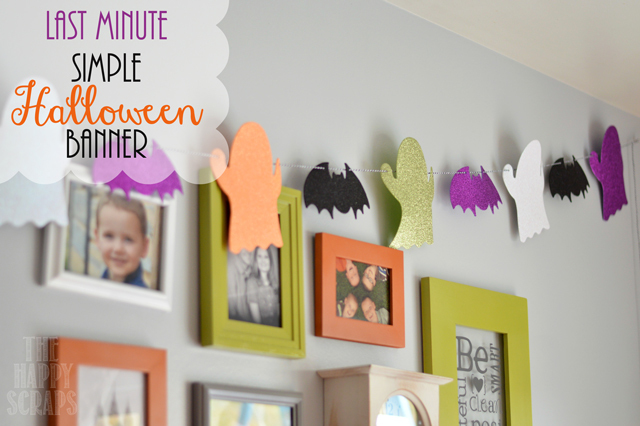 I have a 6 year old and we made some triangles, then made faces of monsters, pumpkins and frankinstein kind of things and hung them. They were super easy and she LOVED being able to craft with me.